NetDragon entered the online education industry in 2010. We build products and solutions for educational institutions, enterprises, public sector, and so on. To enhance corporate communication and management, NetDragon developed the internal all-in-one service platform, 99U, in 2008, which powerfully supports more than 6,000 NetDragon staff global-wide at present. 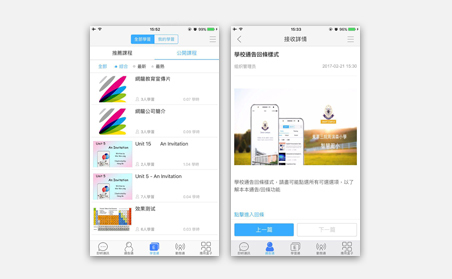 The effective 99U applications has driven NetDragon to advance this system to meet school needs, leading to the development of Smart Campus. Smart Campus is designated to integrate learning, communication, and school management altogether. 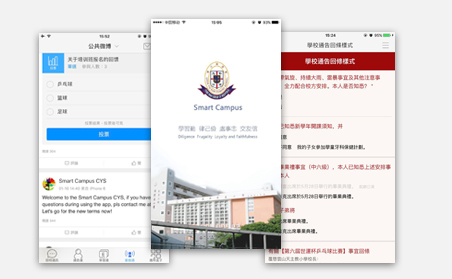 We have also partnered with other educational institutions namely, JiMei University of Fujian, China, Atma Jaya Catholic University of Indonesia, and many other secondary and primary schools in Fuzhou, China. Learning beyond school hours is made easier! Students can now self-pace their learning by browsing learning resources ranging from videos, slideshows, documents, pictures, etc. The platform supports tests and quiz analytics to track learning progresses. School can send notice and bulletins to parents and collect their replies without printing at all! Closer school-family collaboration on the move. Interactive social networking platform in campus Record and share the precious moments in school life Update yourself with your friends’ latest posts and meet more friends.